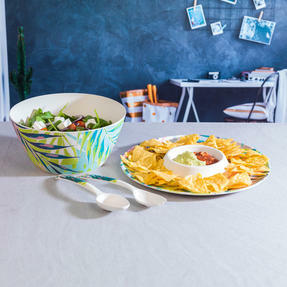 Serve tasty crisps, dips and salads with this brilliant Cambridge tray, serving bowl and utensils set. 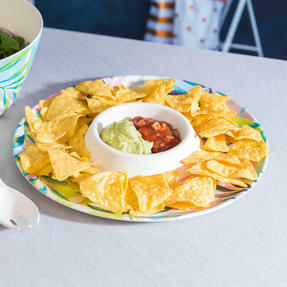 The chip and dip tray features a convenient holder in the centre for salsa or sour cream, whereas the serving bowl has a generous capacity. 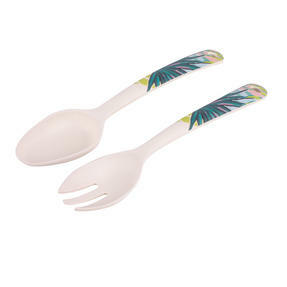 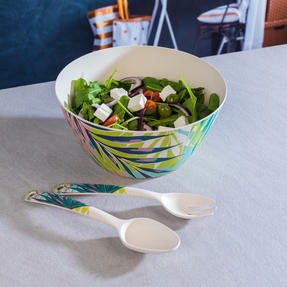 Made from bamboo, this set has an exceptional strength to weight ratio, which allows for a natural durability to make it a superb alternative to plastic. 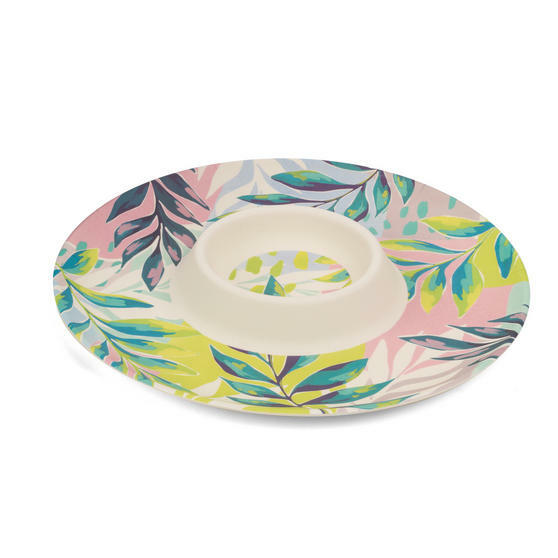 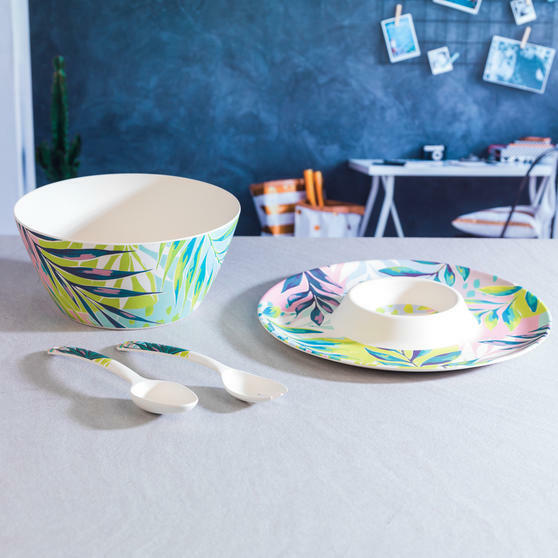 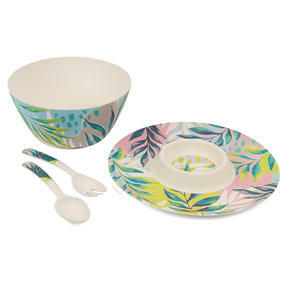 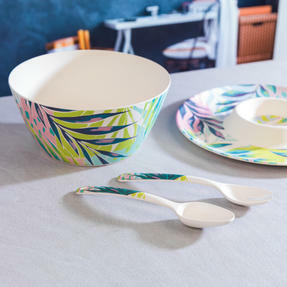 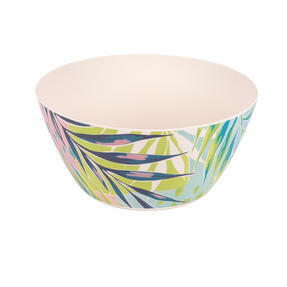 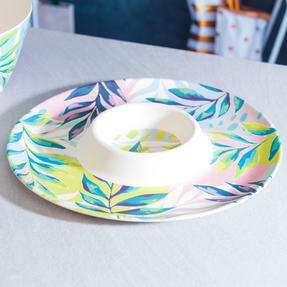 Strong, stylish and practical, this set is also dishwasher safe for a fast clean up. Serve chips, dips and salad at your table with this wonderful eco-friendly tray, bowl and utensils set, a great alternative to plastic. With an impressive strength to weight ratio, the bamboo has natural durability and it can be cleaned in the dishwasher after use. 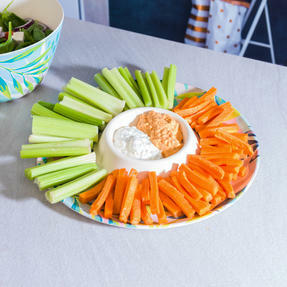 The tray has plenty of space to put crisps around the edge and you can add salsa or sour cream into the centre to enjoy with friends. 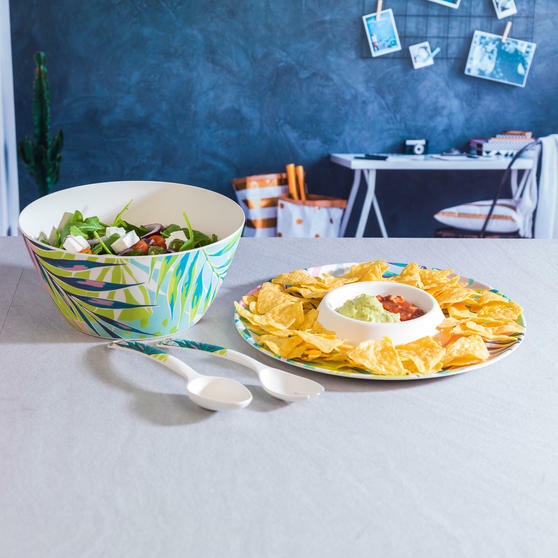 The style of the bowl makes it multifunctional, it can also be used as a fruit bowl which will look great on any kitchen surface. 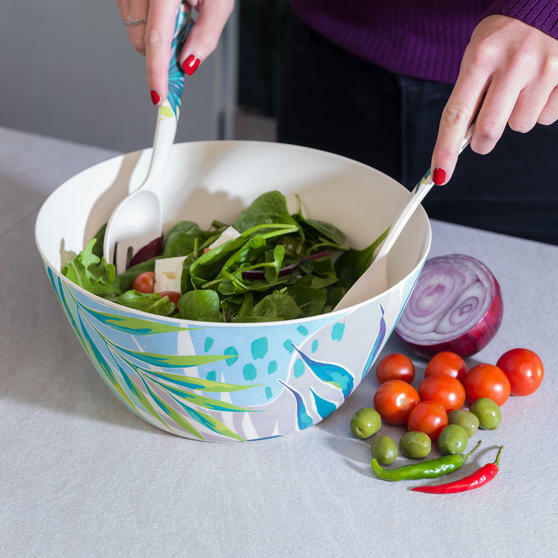 The utensils are perfect for serving salads or side dishes at the table and have holes so they can be hung up in the kitchen after use.